Howard Zinn, a World War II bombardier, was the author of the best-selling A People’s History of the United States (Perennial Classics, 2003, latest edition). This piece was distributed by the Progressive Media Project in 2006. 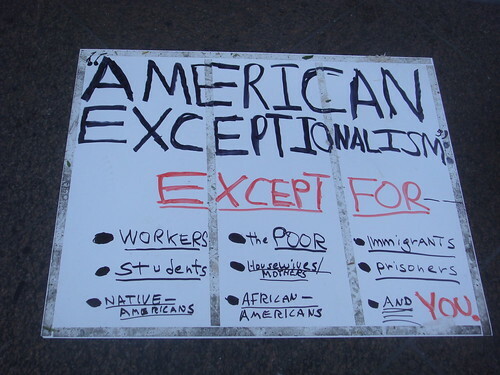 This entry was posted in All Posts News Politics and-or Videos, Anti-war, History, Imperialism, Politics, Propaganda and tagged American Exceptionalism, Howard Zinn, July 4th, Nationalism, Patriotism. Bookmark the permalink. You’re welcome, Ruth. I’ve reposted this many times on/around July 4th. I wrote to Howard Zinn and asked permission to republish his articles and he said, “Sure.” I was very pleased, to say the least.